We've now achieved 2355 SIGNATURES ON THE PETITION and the number continues to grow. Please sign up to add your support and comments. Have you been"ticketed" by Morrisons? Get advice and information. Want to know what else you can do? New Parking "Laws" at Reigate Store to cost residents and businesses dearly - unless we get them changed! Parking at Morrisons in Reigate during the day has never been easy. The car park is very much at the hub of the town, and local residents regard it as something of a community resource. Indeed, the supermarket (originally Safeway) was built in 1993 on the site of a former public car park. Knowing how important this car park is to Reigate, the Council included a clause in the original planning agreements with the developers/owners of the site in the early 1990s. This read: "The proposed car park to be constructed as part of the development will be made available for public use at no charge outside the developer's usual trading hours." Up to now Safeway, and later Morrisons, have acted in a community-spirited way. During the period of 9am to 6pm parking spaces are at a premium, and have been open to abuse by people parking there for long periods of time. As a result, parking limits of 2 hours/ 2.5 hours have been variously enforced using barriers (in Safeway's time) and more recently a car park attendant, who manually logged number plates details and length of stay. This system was widely regarded as reasonable and fair by local residents who wanted to visit the store to shop. However after 6 p.m. parking is not hard to come by, and there has never been a need for parking restrictions, so none have been enforced. ("How busy IS the car park at 6 p.m. ? " see photos). From May 27th 2009 you are being watched! As issues with daytime pressure on the car park continued, Morrisons decided to tackle the parking problem, but the way that they went about it verged on "Big Brother". 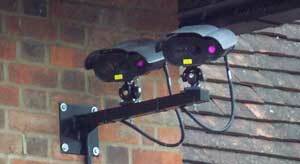 From May 27 2009, without any warning to customers, cameras were installed to track cars in and out of the car park reading their number plates as they go. Any drivers not meeting these requirements will receive Parking Charge Notice (PCN) from the car park's operator Parking Eye, in the post a few days later. It will state that you are required to pay £40 (or £70 if you don't pay up within the first 14 days).If you have already received a PCN through the post then we have some information for you. Initially the new rules were in operation 24 hours a day, and local residents and visitors were shocked to receive parking charge notices for periods in the evening, especially when the store was closed. Angry residents vented their rage to Morrisons, Parking Eye, local councillors, the Council, the Surrey Mirror. Within a week our online petition had attracted some 1800 signatures from local residents and traders calling for the parking restrictions to be relaxed in the evening, post- 6 p.m. (and 4 p.m. on Sundays). The Council wrote to Morrisons to remind them of their obligations under the original agreeement. Morrisons quickly announced a partial U-turn, saying that they would switch the cameras off at 9 p.m. effectively allowing people to park free parking in excess of two hours from 7pm. (4 p.m. on Sundays) The 'no return within 3 hours' rule remains in force right through to 9 p.m. However even this 'revised' system is ill-conceived and confusing. 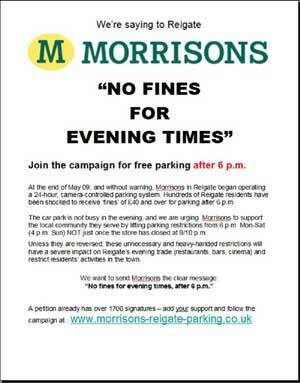 Morrisons are claiming they are offering 'free' parking from 7 p.m., however with the 'no return within 3 hours' rule still in force you would not be able to leave the car park after shopping at 5.30 p.m. and return at 8 p.m. to visit a local restaurant, for example. 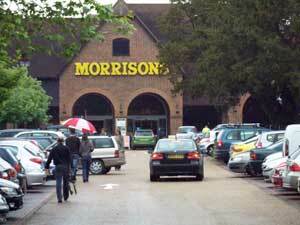 (To read more about why residents think Morrisons' is a 'Hollow Promise' see here). As a result, there is still strong feeling among local residents that the hours of operation are unnecessarily restrictive in the early evening, that Morrisons are rather abusing their priviledged, central position in the town, and that parking in the car park should be free from 6 p.m. to 8 a.m. Monday to Saturday and from 4 p.m. on Sundays. (This has always been the proposal within the petition). The original agreement with Safeways required free parking outside the store's operating hours - these were considerably shorter in 1992 (and Sunday trading did not even exist). 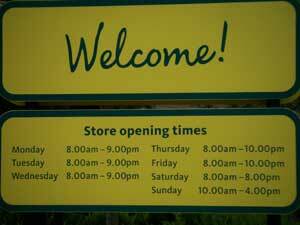 The Council's car parks are free from 6 p.m. - Morrisons should match this policy to avoid unnecessary confusion. Reigate is a thriving and dynamic town, full of independent shops and restaurants: without a clear policy, visitors will be driven away and residents and workers unable to return in the early evening to support other businesses. From 6 p.m. onwards, the Morrisons car park is invariably half empty (see 'How busy is the car park at 6 p.m.?) There seems NO LOGICAL REASON for Morrisons to continue to enforce restrictions after 6 p.m. - they cannot argue that their own shoppers are unable to park. We can only therefore conclude that post-6p.m. 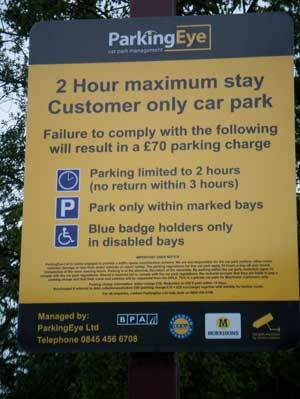 restrictions are a money-making exercise for Morrisons/Parking Eye (the car park operator). BAD news for local businesses such as our Leeds Commercial Cleaning Company and Leeds Tree Service could begin to lose trade if people stop coming to Leeds during the day. Morrisons must change the parking hours rules. A good compromise would be for all restrictions to apply only between the hours of 8am - 6 pm (10am - 4 pm on Sundays). And the 'no return within 3 hours' rule should not apply when you return aftre 6 p.m. (4 p.m. Sunday). Sign the online petition - it takes no more than 30 seconds to add your name. The petition will be sent to Morrisons and Reigate & Banstead Borough Council. Tell your friends - get them to sign up to the petition and do one or more of the other things too. This campaign has been created by a small group of local residents who have encountered the recent parking changes and believe that it is not in the interests of anyone to allow the rules to remain as they are. We hope we can get your support. But only if Morrisons change their parking policy!